It’s been a long road, hasn’t it? 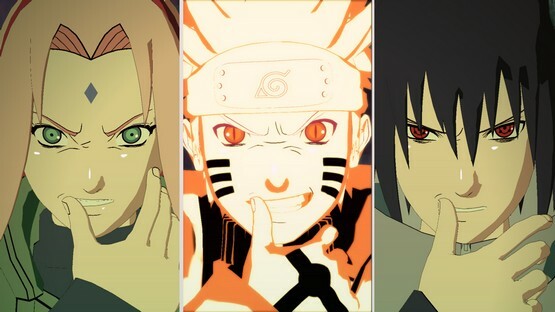 The first Naruto: Ultimate Ninja Storm launched way back in 2008, but the manga and anime series that started it all have been around for well over a decade at this point. 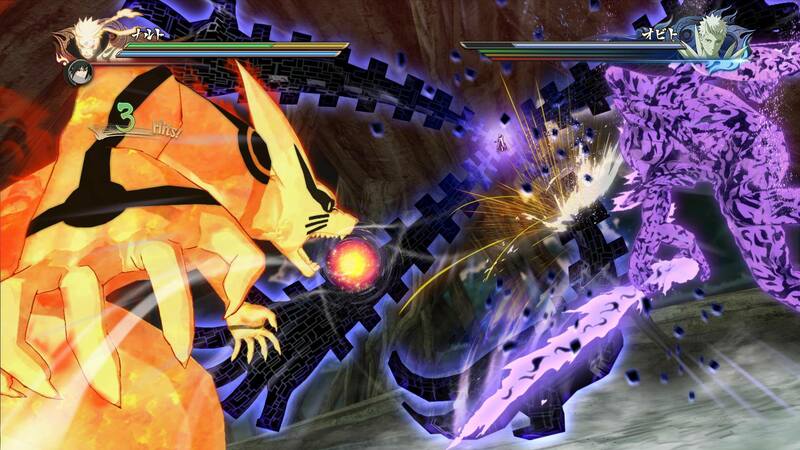 As the second story arc of Naruto’s friends and enemies came to a dramatic close in the manga, so too does Naruto Shippuden: Ultimate Ninja Storm 4 bring the tale to an explosive finale. And I do mean explosive — this is arguably the most over-the-top and outrageous fighting game you’ll find on PS4. Of course, while fans of the series will find themselves in heaven at the enormous roster of characters and stages, there’s enough awesome action here to bring in those who wouldn’t exactly call themselves Naruto fans. Just don’t try to get them to play the story mode; it’s probably a little too late to play catch-up at this point. I’m willing to bet that — for those who don’t already enjoy the story — there’s enough in the meat of the fighting game here to make overlooking the gloomy narrative well worth it. Naruto Shippuden: Ultimate Ninja Storm 4 takes the stereotype of the “lazy licensed game” and impales it with a sword the size of a house. That’s not to say this is the most balanced or technically-accomplished fighting game you’ll ever play; far from it. There’s way too much going on to ensure any sort of pitch-perfect fairness, but that’s unlikely to turn off the sort of players who enjoy games like this in the first place. No, this is as flashy and ridiculous as a fighting game gets, a series of high-speed battles that crackle and pop with eye-catching special effects. As before, your basic moves remain the same: combos that can be executed using the circle button, leaping strides that help you dodge or catch up to your foe with and an instant evasive maneuver that places you behind the enemy. Of course, Ninjutsu moves are back too; hold the triangle button to charge your Jutsu, then smash square and triangle simultaneously to unleash a powerful blow. Awakenings, which can pop up as a late-battle gambit, will allow your character to fight with a huge summon in their place. The battle system may lure in newcomers just on its visual appeal alone — this is the sort of game whose moves are guaranteed to send onlookers’ mouths agape — but they might need a little guidance from a more experienced player before trying to jump in. 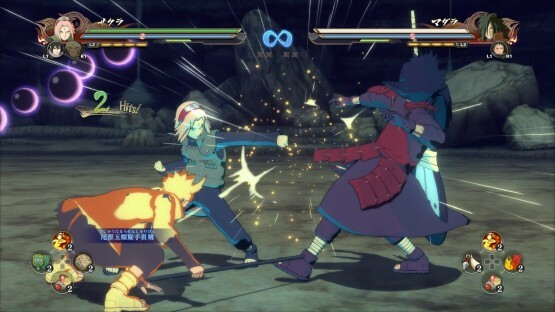 Not that Ultimate Ninja Storm 4’s battles are all that complicated, but they’re certainly not button-mashers in the traditional sense, and the lack of hands-on training tutorials (which you can often find in other fighting games) might make the game feel a little bewildering for someone who’s never picked up the series before. On the other hand, once you’ve got a solid grasp of the mechanics, there’s quite a lot to take in. The new leader-switching system, for example, adds a whole new dynamic by allowing you to swap between three playable characters right in the heat of battle. Then there are all the extras to hunt down: ninja treasures, which can be used to purchase extra goodies in the game’s massive Collection mode, and optional tasks in the game’s Story mode missions (such as completing a given battle with more than 70 percent health remaining). If you love the game’s mechanics to start with, you’ll likely be just as enamored with these additional challenges. It’s pretty much impossible to discuss the appeal of this Naruto iteration without talking about its outstanding visuals. This was the first entry in the series built from the ground up for next-gen consoles, and it absolutely shows. As I mentioned when describing the gameplay, this is the sort of fighter that benefits from a ton of cool-looking moves, and it really does deliver the special effects in droves. Awesome particle effects, blinding light shows and sweeping clouds of smoke burst onto the screen, giving each character’s moveset a truly distinctive feel. And that’s just during the regular fights, to say nothing of the incredible sequences where the shinobi summon enormous creatures to fight in their place. In short, this is the main way Ultimate Ninja Storm 4 obliterates the negative expectations one might have for a licensed anime game — right from the moment you fight your first battle, you know you’re not just playing some cheap knock-off. This is the real deal, like watching the anime come to life in playable 3D. Naruto Shippuden: Ultimate Ninja Storm 4 should feel like a love letter to longtime fans, who will adore the enormous roster of 61 characters and breathtakingly beautiful visuals. On the other hand, the game shouldn’t be counted out for newcomers, either; while they might not enjoy the hackneyed shonen story elements or lack of tutorials, they’ll almost assuredly get a kick out of the hyperactive and highly variable fighting style. CyberConnect2 President Hiroshi Matsuyama said he wanted the game to be built with a long life in mind, and if you’re into this brand of no-holds-barred insanity, that’s exactly what you’ll get out of it. Review copy of Naruto Shippuden: Ultimate Ninja Storm 4 provided by publisher. Reviewed on PlayStation 4. For more information about scoring, check our Review Policy here.